In this wide-ranging collection, mathematician Granville Sewell looks at the big bang, the fi ne-tuning of the laws of physics, and the evolution of life. He concludes that while there is much in the history of life that seems to suggest natural causes, there is nothing to support Darwin’s idea that natural selection of random mutations can explain major evolutionary advances. 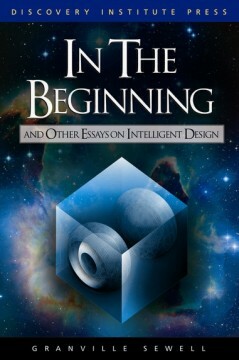 Sewell explains why evolution is a unique problem, and he summarizes many of the traditional arguments for intelligent design, while presenting some powerful new arguments as well. Granville Sewell is professor of mathematics at the University of Texas, El Paso. He completed his Ph.D. in mathematics at Purdue University in 1972 and has worked at the Oak Ridge National Laboratory, Purdue University, the University of Texas Center for High Performance Computing (Austin), and Texas A&M University. Sewell has written three books on numerical analysis, and is the author of a widely used finite element computer program.